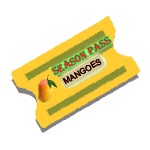 View cart “Banganpalli Mango Season Pass (Large Box)” has been added to your cart. 20 shipments of mangoes shipped 4-8 days apart all throughout the mango season. A Large box has 6-8 lbs of premium mangoes (the number varies depending upon the variety and fruit size). Mango (Scientific Name: Mangifera Indica, a native of India) is known as the “King of Fruits” – it is the most popular fruit in the world by a long shot. 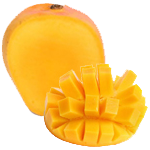 The best mangoes are grown in India and Pakistan since thousands of years. A full mango season pass is our flagship product and a delight for every mango lover!! Enjoy a Full Season of the most popular varieties of mangoes from Premium Mango Growing regions in India and Pakistan. A season pass ensures that you will get Premium mangoes from the Top mango regions of the world throughout the mango season. 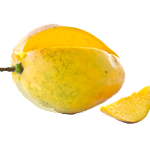 The mangoes chosen for the Full Mango season pass are among our most popular varieties. Every week, we select the best available variety for shipping to you. Wherever possible, a less available variety is substituted, but that decision is made each week based on the quality of the available shipments. All the chosen varieties are imported from the Top mango growing regions in India and Pakistan.